Students at the University of New Brunswick (UNB) now have more opportunities to study and learn abroad thanks to Scotiabank, Canada’s international bank. 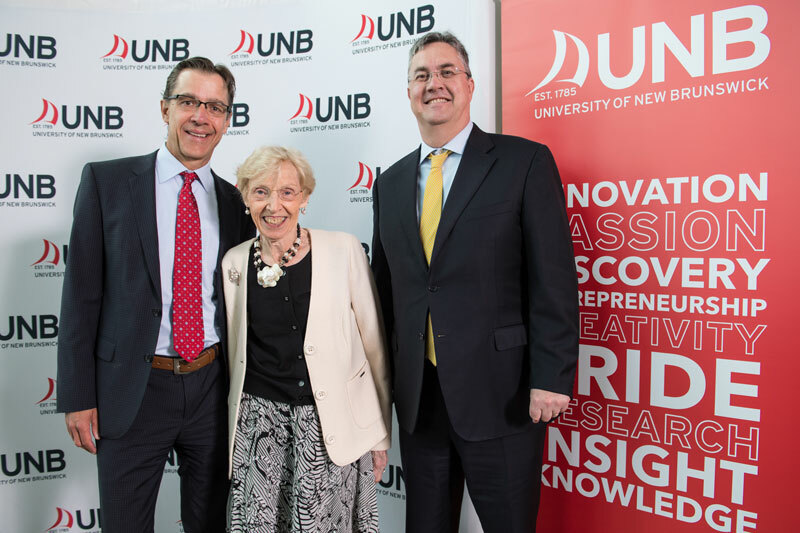 Scotiabank today announced that it is furthering its commitment to international study awards at UNB with a leadership gift of $1 million. The new funds will be used to support awards for students interested in pursuing educational opportunities overseas. The Cedric Ritchie Scotiabank International Study Awards will provide financial assistance to students at UNB campuses in Fredericton and Saint John who wish to participate in UNB’s Student Abroad opportunities, available through partnerships with 90 international institutions. The second part of the donation will support the Scotiabank Special International Internships, offered through Renaissance College, UNB’s specialized undergraduate leadership school, which has international internships built into the curriculum. The award will provide financial support to students who intend to work with individuals who are managing physical challenges during their overseas internship. With the gift announced today, Scotiabank is honouring New Brunswick’s own Cedric Ritchie, who began his career at the bank as a teller in Bath, N.B. in 1945 and spent more than 20 years as President, CEO and Chairman before retiring in 1995. Dr. Ritchie, who was awarded an honorary doctorate from UNB in 1986, passed away in March of this year. “Cedric Ritchie had the vision to realize the need for businesses to think globally, particularly those in the financial industry,” said James McPhedran, Executive Vice President of Canadian Banking at Scotiabank. “Under his leadership, the Bank expanded into more than 40 countries. This award is a great fit to recognize his legacy of appreciating perspectives and insights from around the world. We look forward to seeing just how much these students achieve throughout their academic careers and beyond.” Mr. Ritchie’s wife Barbara was in attendance for the announcement. Through our global community investment strategy, Scotiabank and its employees support causes at a grassroots level. Recognized as a leader for our charitable donations and philanthropic activities, in 2015, Scotiabank contributed $67 million to help our communities around the world. Scotiabank is Canada’s international bank and a leading financial services provider in North America, Latin America, the Caribbean and Central America, and Asia-Pacific. We are dedicated to helping our 23 million customers become better off through a broad range of advice, products and services, including personal and commercial banking, wealth management and private banking, corporate and investment banking, and capital markets. With a team of more than 88,000 employees and assets of $907 billion (as at July 31, 2016), Scotiabank trades on the Toronto (TSX: BNS) and New York Exchanges (NYSE: BNS). Scotiabank distributes the Bank’s media releases using Marketwired. Follow us on Twitter @ScotiabankViews. The University of New Brunswick (UNB) is Canada's oldest English-language university. Founded in 1785, the multi-campus institution has a rich history and a dynamic focus on innovation, experiential learning and entrepreneurship. UNB has more than 10,500 students from nearly 100 countries while several thousand more take UNB courses online and at partner institutions around the world.